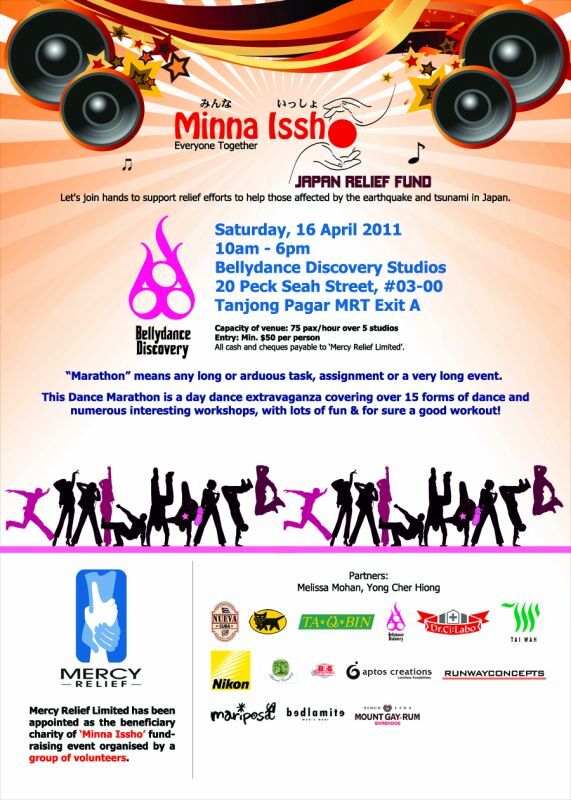 To be held this Saturday at the Bellydance Discovery Studios, a group of volunteers have come together to organise a fund raising event for Mercy Relief Limited. Mercy Relief is one of the few foreign aid agencies to have successfully deliver supplies to homeless survivors of the March 11 earthquake and tsunami that hit Japan's north-eastern coast area. The event will be in a form of a dance marathon and will cover over 15 forms of dance with numerous interesting workshops. Lots of fun and definitely a good workout is to be expected for all participants.